Great Old Broads for Wilderness is holding a climate conference! At this conference, sponsored in part by LandWatch, we’ll explore both how climate change is affecting public lands, and how public lands can mitigate climate change. 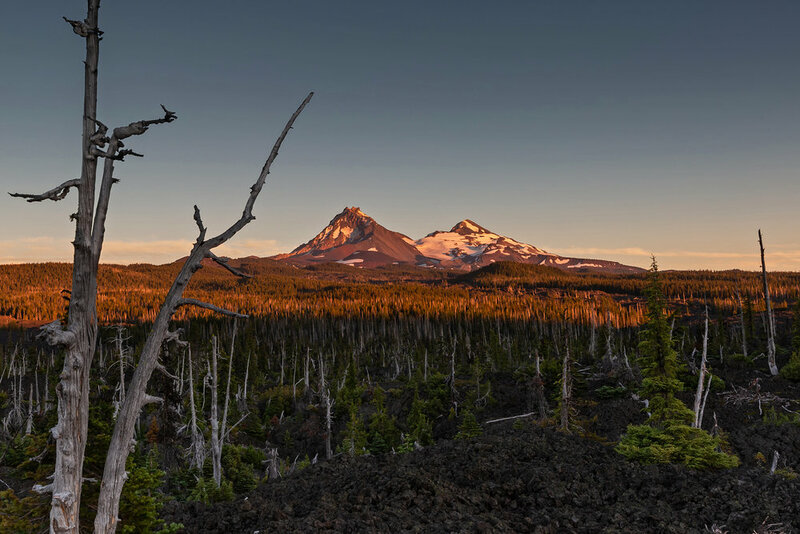 We will examine these relationships through several lenses including our forests' and deserts' carbon-storing potential, wildlife habitat, and Central Oregon’s unique water cycle. As we look forward to creating a more climate-resilient future, considering the role that public lands play is imperative. We hope that you’ll join us for this unique conversation. Nathan Hovekamp, wildlife program director for LandWatch, will be speaking on wildlife and climate change. He will talk about how climate change is affecting wildlife habitat and species native to Central Oregon. Individual actions that you can take to help will also be explored. St. Helen's Hall, Trinity Episcopal Church. Habitat loss, window collision, and domestic pet attacks are just a few of the issues wildlife face during baby and migration season. It's estimated that cats and windows kill about 3.5 billion birds annually in the U.S. Check out Think WIld's free community workshop to learn about what you can do at home to mitigate these dangers. 650 SW Columbia Street, Room 209. The Urgency of Climate Change: Moving Towards a Green New World. The Osher Lifelong Learning Institute in Central Oregon invites you to join them for a free lecture series on the first two Fridays of April. Friday, April 5, 10:00 a.m.–12:30 p.m.
Friday, April 12, 10:00 a.m.–12:30 p.m.
All of these events are free and open to the public. Take some time to learn about your local environment and what we can all do to create a livable future in Central Oregon. We hope to see you out there!